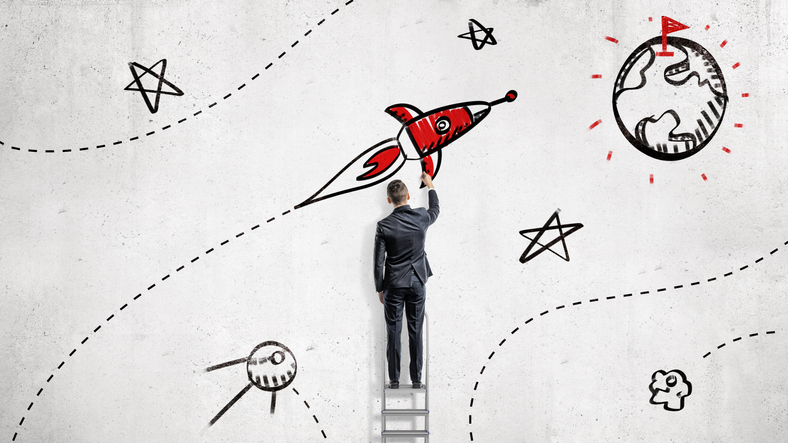 Four Exercises to Fuel Your Design Innovation » A businessman draws paints a rocket that will reach a goal set on a planet’s surface. A businessman draws paints a rocket that will reach a goal set on a planet’s surface. High aspirations. Business planning. Life and business goals.